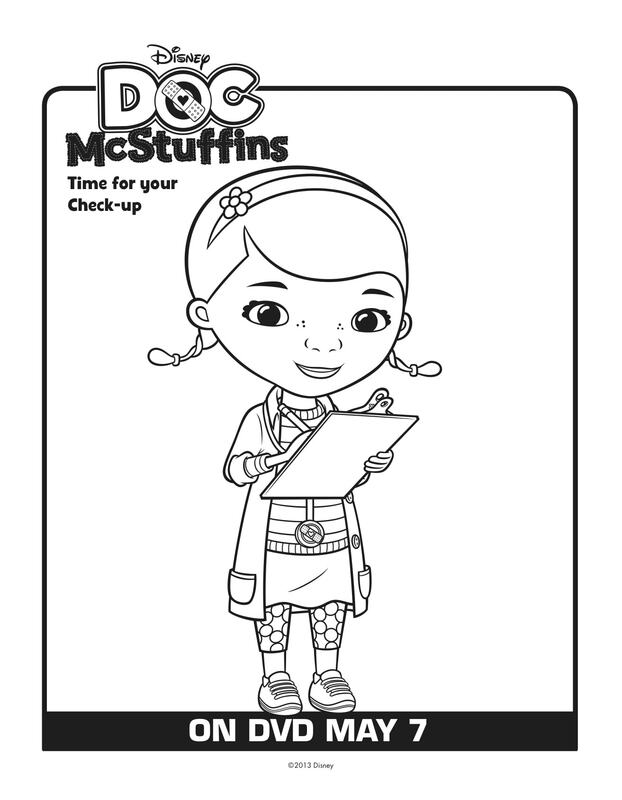 In celebration of this week’s release of DOC MCSTUFFINS TIME FOR YOUR CHECKUP on Disney DVD it’s time for some fun! 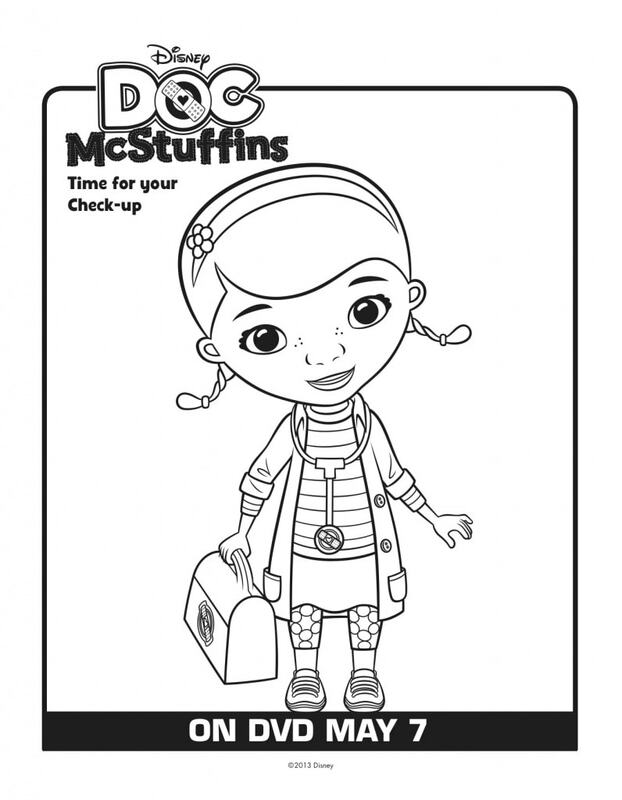 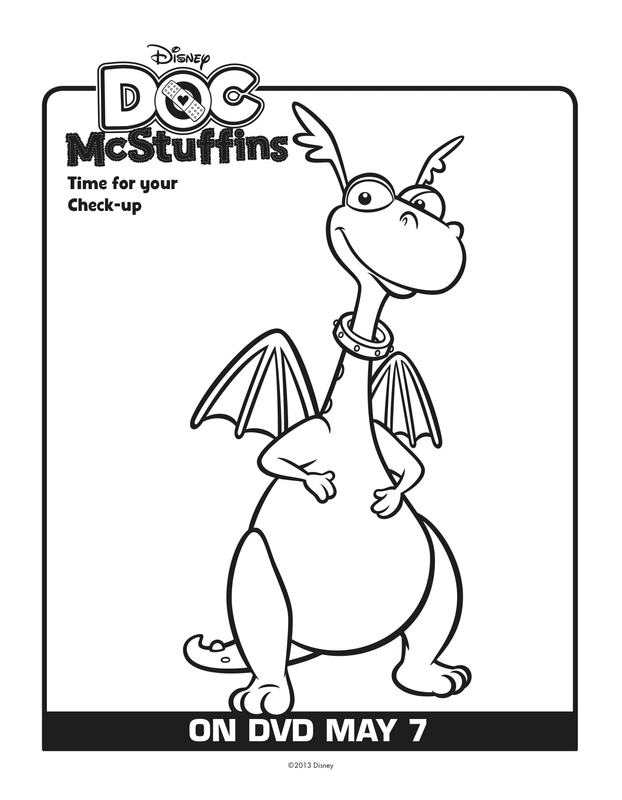 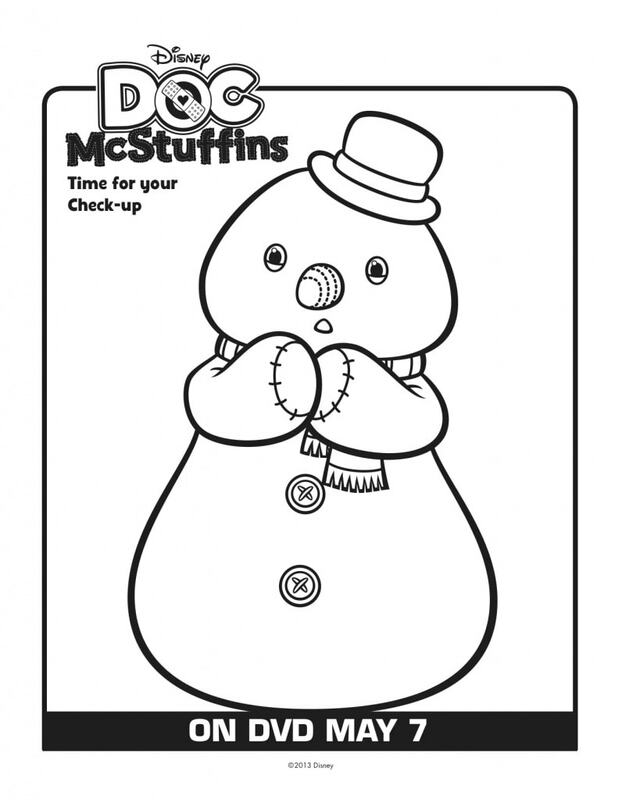 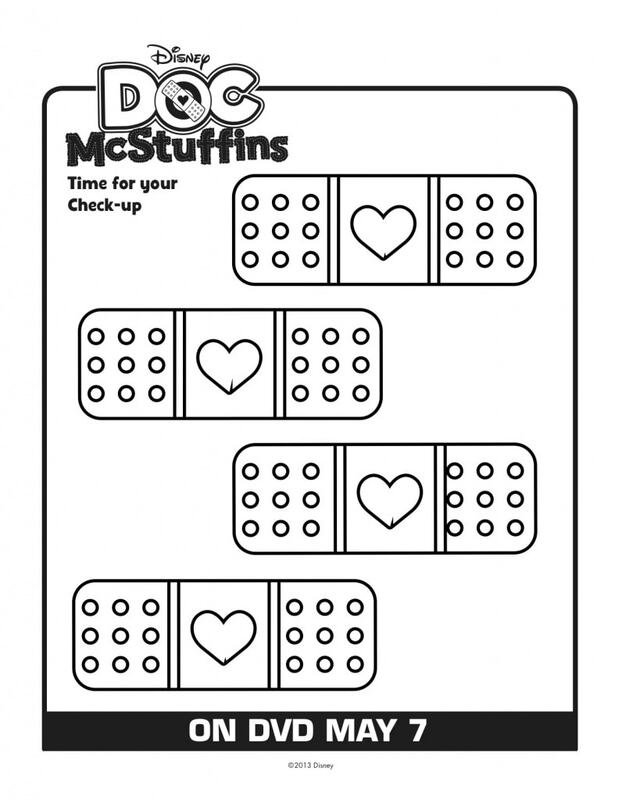 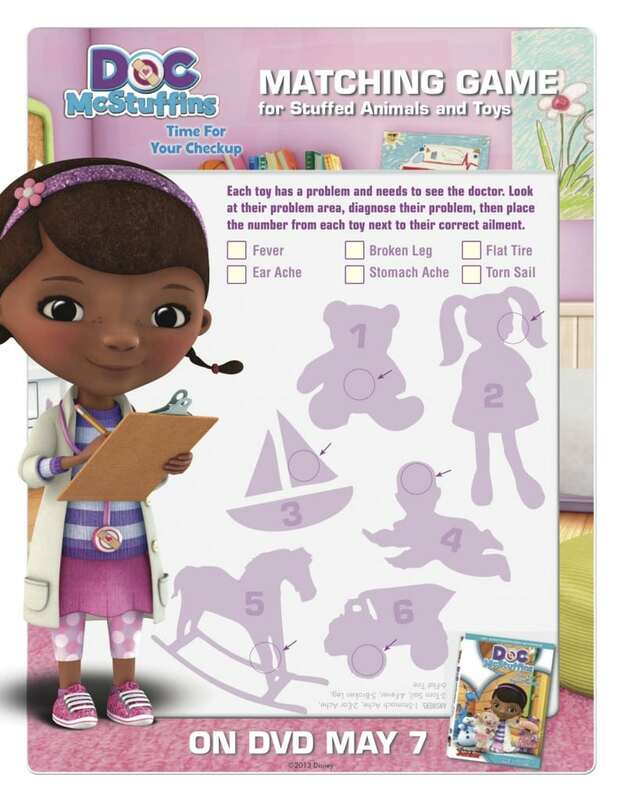 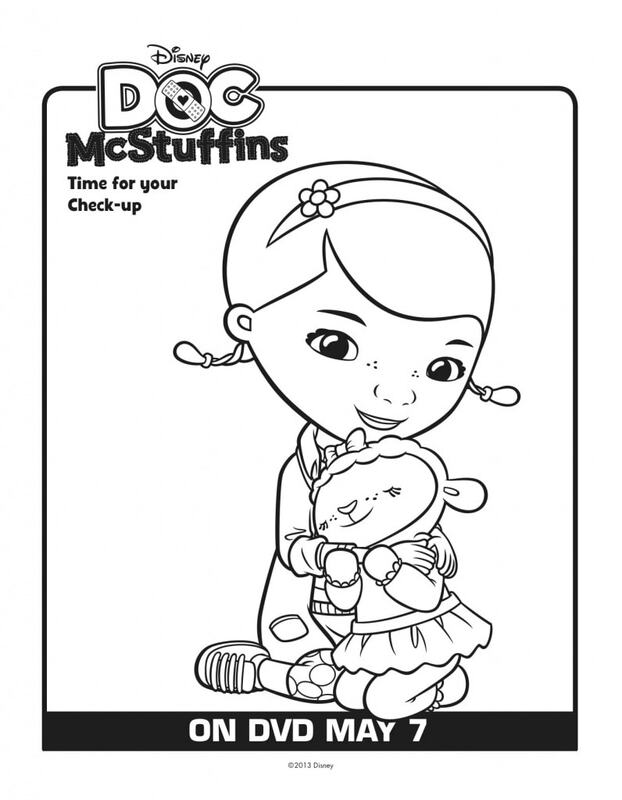 Right click on each image to save and download these free Doc McStuffins activity sheets. 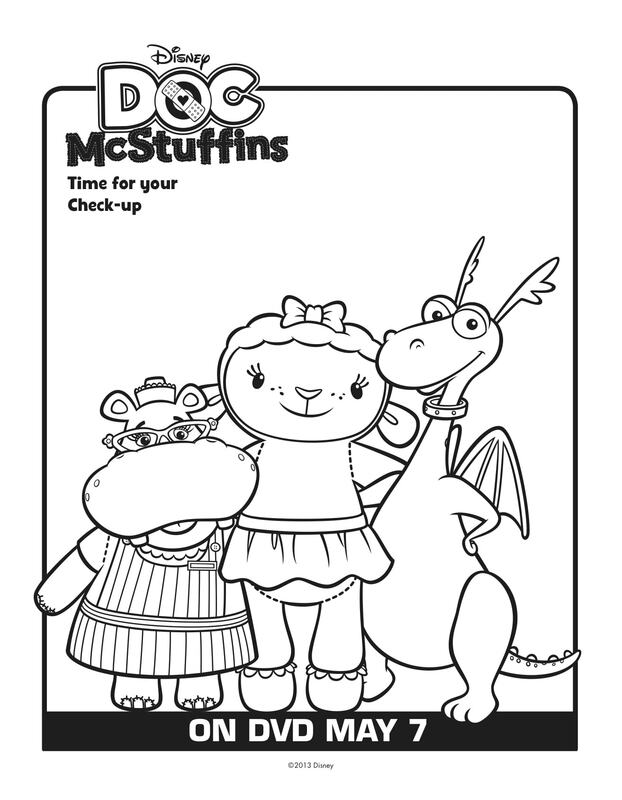 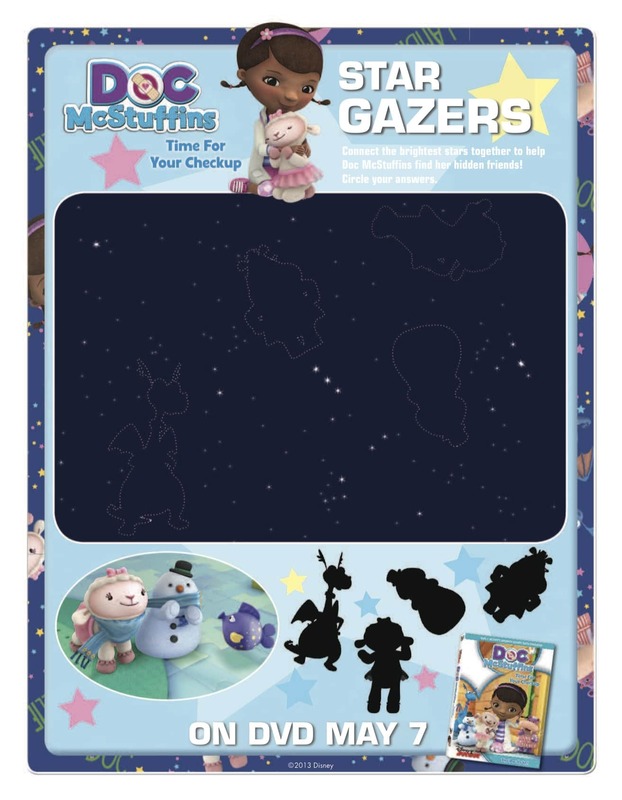 Help Doc diagnose her patients with a matching game, see what’s hidden in the stars by connecting the dots, then kick back with some coloring sheets featuring Doc and her friends!